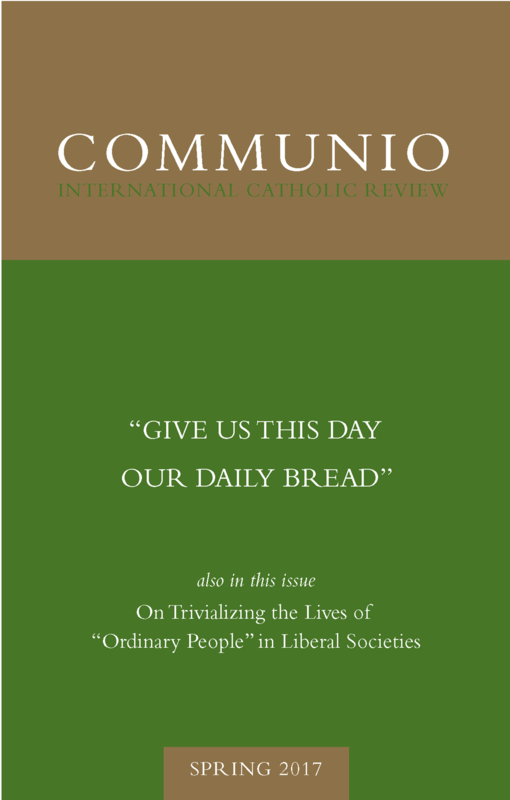 Professor Francesca Murphy, in a recent article, makes an odd case for drama in the economic lives of “ordinary people” in liberal societies—by emphasizing how little is actually going on in their lives.1 Her essay misconstrues the beginning, the middle, and the end of human action, and in the process ignores what are among the most significant debates in Catholic fundamental theology at and since the Second Vatican Council. The essay also backs into a theological version of Adam Smith’s “invisible hand” argument. While Smith thought blindness to larger human ends in market activity—in favor of self-interested gain—would lead merely to overall greater profit, Murphy believes such blind market activity “foreshadows, in a natural way, the supernatural exchange of gifts—my very self to God, and my self in union with him in return” (42). Taking the occasion of Murphy’s argument, my intention in this article is to address, in light of the Catholic tradition, key assumptions regarding the nature of freedom and human action as conceived in liberal (economic) order. Professor Murphy begins her discussion by insisting that we should “act in and through the givens of our historical moment” (39). Of course no responsible Christian thinker would deny this. But how is this to be understood in relation to economic life in modern liberal societies? To read this article in its entirety, please download the free PDF available above or buy this issue. 1. Francesca Murphy, “Is Liberalism a Heresy? Why Liberalism and a Market Economy Are Based on Christianity,” First Things 264 (June/July 2016): 39–45. What Bread Is This? What Bread This Is!